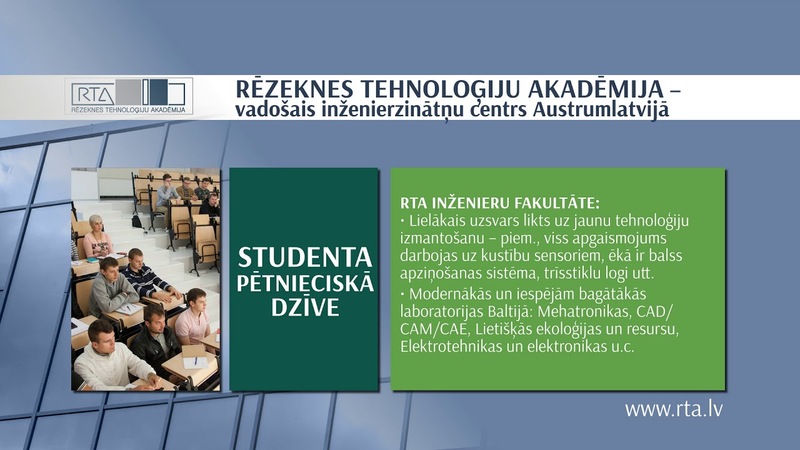 Rezekne Academy of Technologies (RTA) offers a student hostel for international students. It is located in Rezekne, Maskavas street 22. As there is a well-developed public transportation, RTA and the city centre are easy to reach. Rezekne II railway station is located a short distance away. The hostel is located in a 5 floor building. Rooms are the size of 18 m² and are shared with one or two other tenants. Single rooms are also available. Two shared WC’s, showers, and kitchens available on each floor.